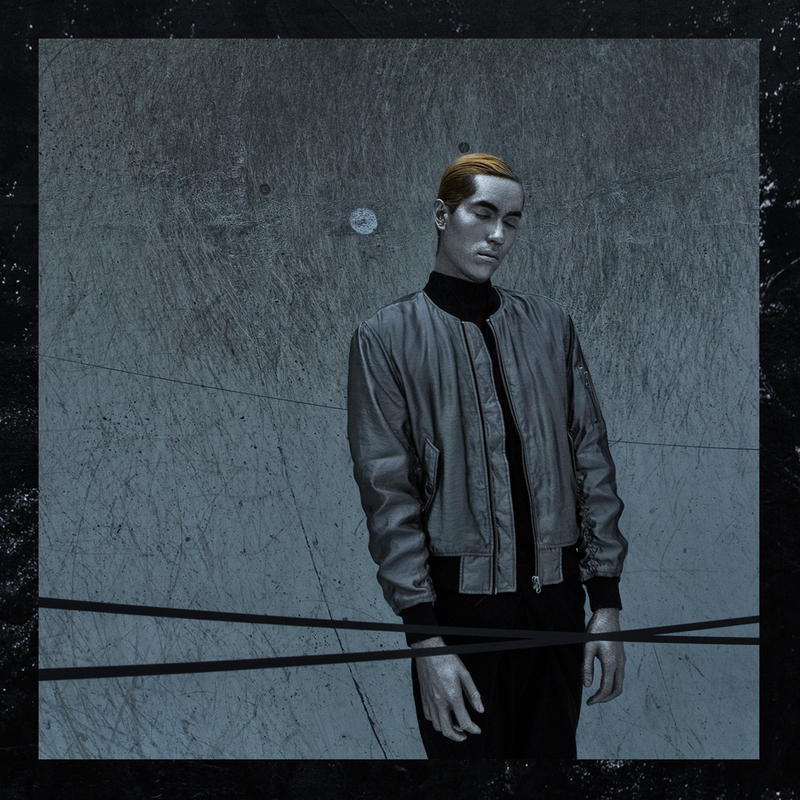 Right before releasing his debut album “Lovers Be Alert”, Einleit shares a second single titled “Pull My Heart” on the French record label Sacré Coeur Music. It’s a plethora of dark synths winding their way through a maze of diverse vocal effects with Jun Suzuki’s falsetto orchestrating the characteristically cosmic and visceral piece of melancholic pop. Indeed, Einleit is a distinct « poptronica noire » project inspired by sentimental failures, anxieties and English modernist poetry. Much like a good book, his work is engaging and with his first record coming on the back of singles as great as “Colourblind” and “Pull My Heart” we know we’re in for a treat. We caught up with him to discuss 3 years of creation and experimentation behind the emotionally-charged soundscapes of his enticing debut album out this Friday. Highclouds: Let’s start with some existentialism. Who are you? I’m Jun Suzuki, half-French half-Japanese, originally from Tokyo but living in Paris for more than a decade now. I used to sing opera in the “Opéra National de Paris” choir for 12 years which gave me the love for music and live performance. The name of my project itself is an homage to this background. Einleit comes from the German word « Einleitung » which is the equivalent for “Opening”. Every German opera or symphony starts with one, the most famous being Richard Strauss’ Einleitung for “Also Sprach Zarathustra”. It’s funny you ask this because I was precisely thinking about that recently before a gig in Paris. I’m still not sure but maybe you can help me out: what do you think about “Poptronica Melancholia” or “Electronic pop noire”? The “Pull My Heart” music video was directed by Masato Riesser and James F. Coton shot somewhere in the suburbs of Kiev. Your music indeed spans different genres like electronica and (p)opera music delivering “chiaroscuro” pieces. What drew you to that and how has your sound changed since your earlier days? At first, my friends and I played rock music for a long time, from rock to funk to hard rock and even electro-rock. What I loved the most from that period was the energy of the music itself and the live performances. Today that energy is condensed into the omnipresent tension that I create with this ambivalence that you’re referring to. A high note will always be counterbalanced by a low tuned element. So, when did you find your current Einleit sound? Well it took me almost 3 years to write this album. The first 18 months were about sonic exploration and working on my production skills but I couldn’t finish a single track during that period. I was stuck with loops and ambient textures. I finally got back to proper song writing thanks to the pressure of my record label while keeping in mind all the research I did. That’s when I started writing pop songs with a soundtrack composer approach as each song is an image, a movie. I hope that every listener will picture its own visual background. Do you produce your own tracks, what does the Einleit sonic laboratory look like? I mostly do, hence the 3 years spent all alone in my bedroom. I come to the studio with pre-mixes and the main producing tricks settled. Then of course, we polish this work with the sharp ears of Jérôme Litré-Froment, sound engineer and producer of my label. My sonic laboratory is mostly composed of samples from Korg MS-10, Dave Smith’s Prophet 6 & 8 and vocal samples pitched, stretched and reversed in the most random way. Could you tell me about your approach to those vocal effects and why you choose to manipulate your voice? Manipulating my voice was a way to push the production work further and play not against but in complete intertwining with the machines and the electronics. Obviously this first album was a terrain of experimentation for me, and I never hesitated to downright push some ideas to the edge. Now that I have some perspective I’m able to examine what works and what doesn’t. I’m still eager to learn! Was writing “Lovers Be Alert” a cathartic experience to you? What do you want the world to take away from your debut album? I write songs to express what I’m unable to express by speech or body language. I’m so glad to have this to drive out my anxieties from myself and people who are close to me. So when I look bluntly at the process, I find it very personal and self-centred. I’m not sure what I want people to take away from my music, I just know that when I’m in a specific mood I like to listen to specific songs, and I hope that one of my tracks could be that specific song for others. What kinds of music do you listen to in your spare time? I hear influences from some of the darkest SOHN and James Blake works. They both definitely are two of my favourite pop artists along with Son Lux, Nicolas Jaar, Sampha… But in my spare time, I mostly listen to genres that are more distinct from Einleit’s universe such as old disco, Japanese house or Berghain techno music because of the hours I spent their dancing and meditating on life! Are you taking the album on the road soon? I’m currently working on a home-made European Tour with two other artists from Amsterdam and Berlin. The french tour agencies didn’t show any real interest in my project so far, so I figured I’ll be looking for support abroad. And like I said earlier, live performance is one of my main motivation as a musician: hope to see you at a gig soon! Einleit’s “Lovers Be Alert” is out this Friday, January 19. You can follow him over on Facebook and Twitter.